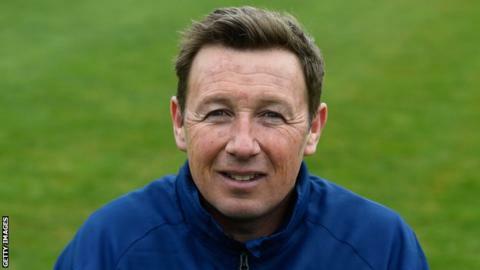 Glamorgan have parted company with head coach Robert Croft who leaves the Welsh county after three decades. The decision comes after Glamorgan finished bottom of the County Championship, having failed to qualify for the T20 Blast quarter-finals. They will also appoint a new director of cricket after chief executive Hugh Morris relinquished the dual role. Croft, 48, has been with the county since 1989 as a player, assistant coach and has been head coach since 2016. Croft succeeded Toby Radford in the role, but results have not been good for the former England spinner, with the club ordering an independent review into their campaign by Huw Bevan, the former England fitness coach and Dragons rugby high performance manager. “After finishing my playing career it was one of my dreams to coach at this great club and I am pleased to have been able to fulfil that dream and play a part in developing the next generation of Welsh cricketers,” Croft said in a statement. “I leave knowing that Glamorgan has a number of extremely talented cricketers who can take the club forward. Glamorgan suffered a dismal summer where they finished bottom of the County Championship table and 50-over One-Day Cup group, and failed to qualify for the T20 Blast knockout stages. The county’s record was won 10, lost 23, with three draws or no results in 36 games. In Division Two of the Championship, Glamorgan lost 10 out of 14 matches. Croft took the side to the knock-out stages of the T20 Blast in 2016 and 2017, but could not mount a challenge for promotion in four-day cricket during his time at the helm. Morris said: “On behalf of the club I would like to thank Robert for the incredible contribution he has made to Glamorgan, not just as head coach but also as a player, assistant coach and ambassador over the last 30 years. “He is one of our greatest players and the most successful player we have ever had at the club at international level and has done more than anyone to promote not just cricket in Wales, but Welsh cricket to the world. “It was an incredibly difficult decision for the board to make, but given our performances in the County Championship we feel it is the right time for a change. Croft is Glamorgan’s most-capped England player, having featured in 21 Tests and 50 one-day internationals and is the only player to achieve the double of 1,000 first-class wickets and 10,000 first-class runs with the Welsh county. He was also the last Glamorgan captain to win a trophy, as he led them to the one-day National League title in 2004 in partnership with coach John Derrick. Glamorgan say they will begin the process of recruiting Croft’s successor following the appointment of a new director of cricket.